Leanne Borden, founder of Borden Bean Counters, has been serving the small businesses of York Region and surrounding areas since 1998. After graduating with honours from Accounting and Finance at Seneca College she gained valuable work experience with accounting firms as well as companies within the corporate world. Leanne took the bold step of leaving the world of corporate finance in downtown Toronto to pursue her goal of running her own business and has been doing so ever since. Over the years, Leanne has worked with clients in a variety of fields including contracting, retail businesses, not-for-profit and educational organizations to name a few. 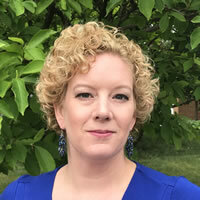 Leanne is a Bronze Certified Consultant for Sage 50 Accounting Software (formerly Simply Accounting) and specializes in assisting clients with all aspects of this accounting software program including database setup, report writing, problem solving, remote support and more. Leanne also has attained her Certified Professional Bookkeeper designation as a member of the Institute of Professional Bookkeepers of Canada. She is also a member of the Newmarket Chamber of Commerce and has served as a director on the Board of Directors for a number of organizations.